Born and raised in Spain. Sandra started her formal Flamenco studies at the age of 9 and learned under the tutelage of several flamenco masters such as “La Maria José” from “Cuadro Flamenco El Amanecer”, but she obtained her true knowledge with, internationally known as “La Chamela” (Isabel Ruiz). Sandra performed for 12 years in Spain at Flamenco Festivals, Competitions, Cultural Events and Fairs. She was a dance member of “El Anrenal” (Girona). She began her solo performances soon after throughout Catalonia, Granada & Sevilla. She moved to the USA in the year 2000 and continued performing and instructing in CT and NY. 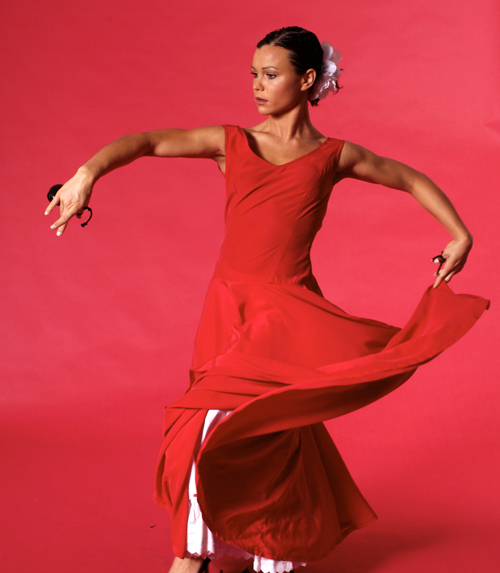 Sandra became a Flamenco Dancer for “Val Ramos Flamenco Assemble” in 2003. With 30 years of experience he is currently Instructing and working on her Dance Company “Flamenco Duende”.